When it’s time to remodel your North Shore home you have a lot of options. Your options, however, consist of much more than color schemes, finishes, countertops, and cabinets. You also have choices about how your remodeling project will be handled. You can sketch out an idea of what you want or you can choose a designer/architect to create a plan. Then you can hire a general contractor to execute that plan. Or you can work with a design-build remodeler who will coordinate those efforts for you. 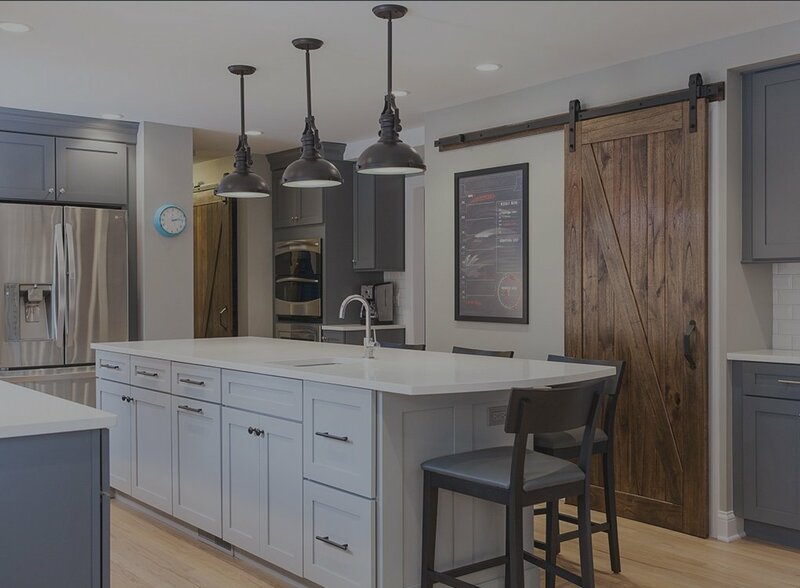 Let’s look at the top 3 reasons to work with a design-build firm for your Chicago North Shore remodel. Great remodeling results don’t just happen. They begin with great design and great design begins with paying close attention to what’s important to you. Chances are you have some great ideas about what would make your home more comfortable and convenient—and what style fits your personality. A design-build remodeler starts the process by carefully listening to your thoughts, your needs, and your sense of style. He or she also pays close attention to your budget—and knows how to design a solution that brings all of those factors together. Previous BDS Design Build clients tell us that our ability to listen to what they really want before creating a solution is one thing that sets us apart from the competition. With design and construction being handled by the same team, your designer isn’t going to propose something that the craftsmen can’t build. Your designer will never tell you, “That’s not how I drew up the plans!” There’s no information or understanding gap. Another benefit to enlisting the services of a design-build firm is that you’ll experience superior communication. Not only is that true between the designer and the craftsmen, but it’s something you’ll experience as a homeowner. As a design-build remodeler, we not only welcome your input—we encourage it. During the construction phase, your Project Manager will constantly provide you with opportunities to ask any questions about general housekeeping issues that may arise. We maintain regular communication with you about the progress of the project—including answering any questions you may have. Click here for a brief overview of how our 3-phase design-build process works—and how you’ll be involved. Let's be honest; cost is always important in any remodeling process. But your goal isn't to remodel your home as cheaply as possible—it's to get the most value for the money you spend. A great thing about the design-build process is that we will walk through the entire project with our construction team and finalize the costs, schedule, and contract. That starts at the conceptual design/planning stage. There is no miscommunication between designer and builder, you’ll know what your costs are from the start. No one likes getting a surprise when the final invoice is delivered. With design-build remodeling, that problem is eliminated. On top of that, we try to be as straightforward as possible with clients about what things really should cost. That’s why we regularly publish posts such as this one about how much a bathroom remodel in the North Short area currently costs. While it’s not a guarantee of what your remodel will cost (every project is unique) it at least helps you in the planning and budgeting part of the process. You can try to manage the process yourself—and coordinate the efforts of your designer and builder. You can be the go-between and arbiter if things get off track. Or you can have everything handled by one team to ensure you get the quality, schedule, and price that fits your needs—and actually, enjoy the remodeling process like so many of our clients have!